What we are listening to here takes us right back to the beginning of this often barely believable story. 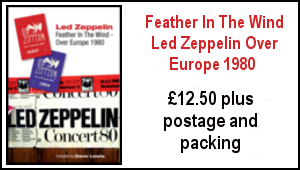 With a mere handful of gigs under their belts (they had played a short tour of Scandinavia the previous month) the four musicians working under the current assumption of being a new Yardbirds line up but about to change their name to the much grander Led Zeppelin, are ensconced in Olympic Studios in Barnes recording their debut album. The date is Thursday, October 3 1968. A run studio though of a short unrefined playful outing known as Sugar Mama. Now for the first time, thanks to the unlocking of their archive by Jimmy Page for the final round of Led Zeppelin reissues, we can marvel at the innocence and first time energy of this embryonic ensemble soon to take the world by absolute storm. It begins with an incessant groove over which on the dot of 16 seconds, enter one Robert Anthony Plant just turned 20 years old. Former minor star vocalist of the Midlands area based Band of Joy and a few other outfits but yet to make any national breakthrough ..so far. That will all change within months. His distinctive high pitched frantic yelp towers across the speakers – you can almost touch the electricity of this vocal performance which like so many on their debut record, captures the sheer youthful gusto of an already remarkable singing talent. Then there’s drummer John Bonham – long time friend of the aforementioned Plant and drafted into this new line up at the recommendation of the singer who had performed in the Band Of Joy with him. John had more recently forged a reputation touring with Tim Rose – Jimmy Page duly checked him out at a Tim Rose gig in Hampstead the previous July and saw the immense percussive potential. That potential is all over this track, most notably from 1 minute 23 to I minute28 -in that space of time Bonzo as he will become known, delivers one of those seemingly impossible bass drum shuffles that will became a unique part of the Led Zep sound. Listening back to this in the control room of Olympic Studios at the time, Page must have marvelled at his sheer good luck at finding these pair of startling rookies. Oh and the bassist Mr John Paul Jones if you will, well, he wasn’t bad either. The ex master sessional arranger formerly known as John Baldwin. A seasoned multi instrumentalist, less pipe and slippers as feared by the younger Plant and Bonham on meeting him at their first rehearsal, more sheer musical innovation. His contributions on bass guitar, all manner of keyboards, mellotron, mandolin and anything else that needed playing, would be central to the diversity of the band’s sound. As for Jimmy Page, Sugar Mama mirrors just one facet of his vision for this group’s repertoire – dramatic guitar based dynamics with a heavy chorus. A winning formula they would replicate on the likes of Communication Breakdown, Immigrant Song and Rock And Roll. 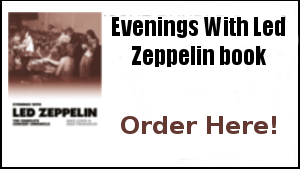 At just 2 minutes fifty seconds, this performance is a vivid example that Led Zeppelin were as at home laying down short bursts of fierce intent, as they were at applying themselves to the longer improvisational performances that would be a highlight of their live shows. In fact, the short concise and dare one say commercial nature of Sugar Mama, could well have been worthy of framing in 45rpm format and being issued as a UK single – a taster perhaps for what this group were going to be all about. Page and manager Peter Grant had other ideas. The prospect of joining the top 40 merry go round of the time and sharing the Radio One playlist with the likes of The Scaffold, Tremeloes, Marmalade and Engelbert Humperdinck was not really where they were at. During their final days touring America,The Yardbirds had forged a strong reputation on the fashionable underground ballroom circuit and venues such as the Fillmore East and West seemed a much credible route to the spreading the Led Zep word. As did the album format formula of US FM radio stations. In truth, the UK was initially fairly lukewarm to Led Zeppelin. A series of one nighters which was about to commence with a UK debut date at Newcastle’s Mayfair ballroom, the day after recording this track, would garner some press interest and begin building their reputation by word of mouth – but it would be America for which a first tour was already booked to commence in Denver on Boxing Day, where the blue touch paper would really be lit. When the debut Led Zep received a belated release in the UK at the end of March 1969, they were very big news in the US with a top ten album to their name. However, aided considerably by sessions aired on John Peel’s Top Gear radio show and June appearances at the Royal Albert Hall and the Bath Festival, UK audiences were soon on board. Within a year, they had replaced The Beatles as the worlds top group in the prestigious Melody Maker Readers Poll. Put simply, they were the biggest rock attraction across the globe for the next decade. Despite the tragic death of John Bonham in 1980 signalling the end of the group not much has really changed. It took just one press announcement of last Wednesday for them to resume their status as the world’s most popular group. Such was the reaction to the news of the forthcoming release of these final three reissues. After two minutes plus of frenetic energy, Jimmy Page chugs the proceedings to a close and then it all cuts abruptly. It’s also worth noting the concise production here – each instrument clearly defined and recorded. 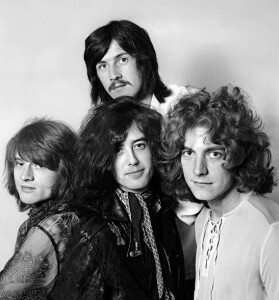 Alongside his undoubted master guitar skills, as the band’s producer in the studio, Page would constantly demonstrate a deft ability in capturing the sound Zep on record – developing pioneering studio methods such as the strategic miking of instruments and backward echo recording techniques he had picked up and honed while working as a session musician in the early 60s. For whatever reason, Sugar Mama would not be returned to as a serious contender for their debut album. It may well have only been viewed as a fun studio warm up piece – as apposed for example, to the more adventurous Babe I’m Gonna Leave You and Dazed And Confused that would subsequently light up their debut album. This recording would be left to languish in their archive, although it did seep out in low fi quality on a bootleg in the early 90s. Sugar Mama is therefore the perfect Monday morning uplift…and the beginning of the unveiling of the final three Led Zeppelin reissues due out on July 31. 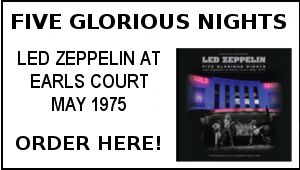 The summer of Led Zeppelin 2015 starts right here…right now. Suger Mama, like Baby Come On Home really gives a feel of Zeppelin trying to find their own sound. You can hear hints Communication Breakdown in Plant’s vocals. And Bonham, well he’s just Bonham! Fascinating stuff. That bloke from The Guardian can’t count. 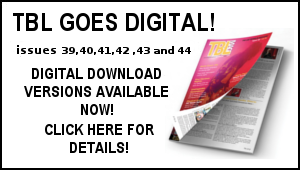 It’s 47 years, not 37 years…!